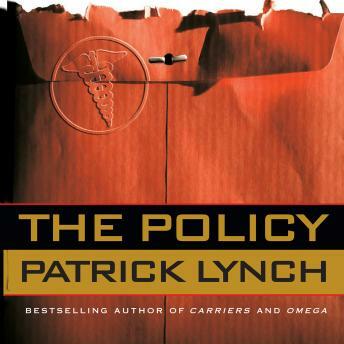 When ProvLife, a successful life insurance company, expands into health care coverage, Alex Tynan, a young financial analyst employed by the company, becomes suspicious. First of all, the statistics of the policyholders seem contrived and unrealistic. Alex also notices several of her colleagues suddenly make enormous amounts of money, while she must care for her aging mother and support herself on an entry-level salary. Then a company executive is found dead, after behaving bizarrely for weeks. When Alex is linked romantically to the dead man, she realizes that she has been set up in some kind of sinister game being played behind the closed doors of ProvLife. With violence exploding all around her and someone shadowing her every move, Alex plunges into no-man's-land where she can trust no one and nothing - not even the astounding facts that are staring her right in the face.